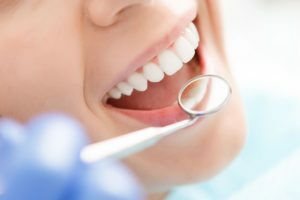 Preventative dental care at Cope Dentistry coupled with good oral hygiene at home can help you avoid costly dental problems and maintain a healthy, beautiful smile. We’re dedicated to providing exceptional, comfortable preventative dental care treatments to patients of all ages – including children, teens, adults and seniors. We encourage regular dental exams, cleanings, and x-rays for all of our patients in order to stop dental disease in its earliest stages. The American Dental Association (ADA) recommends a minimum of two dental checkups each year for professional cleaning. These preventative dental checkups include a thorough exam, which allows our dentists to look for developing conditions that may need to be watched or treated. Please review the following preventative dental care treatments. Be sure to contact us if you have specific questions. Measure your periodontal (or “gum”) health. Routine dental exams (or “check-ups”) are generally recommended twice a year. Your oral exam will help our dentists recommend a plan to treat and/or maintain your oral health condition. Early detection of dental problems can save time, money and discomfort. We will take time to discuss your exam and to answer any questions about our diagnosis or treatment options. Oral hygiene needs can change depending on your age or the condition of your teeth, gums, and the bone supporting the teeth. We may recommend regular professional cleanings that are more or less frequent than twice a year, depending on your specific oral health and hygiene. X-rays (or radiographs) are part of a diagnostic dental exam. X-rays can show cavities and hidden dental structures like wisdom teeth or bone loss that can’t be seen during a visual clinical exam. At Cope Dentistry in Prairie Village, we use digital X-rays that produce around 80% lower levels of radiation than traditional X-rays. If your previous dentist has taken X-rays within the last six months, you may request that they forward them to our office. If there is not enough time, please pick them up and bring them with you to your appointment. If additional X-rays are necessary, we can take them at our office. Our dentists may recommend topical fluoride after cleanings for certain patients who have developing teeth or are more prone to tooth decay. Just as with any other dental procedure we recommend, it is ultimately the patient’s (or the parent’s) decision to have the recommended topical fluoride treatment. According to the American Dental Association (ADA), fluoride is a naturally occurring compound that can help prevent dental decay. The dentists at Cope Dentistry often recommend sealants for chewing teeth (molars) that have deep grooves on the biting surfaces. Both children and adults can benefit from sealants. Placing sealants is a simple procedure in which our dentists paint a tooth-colored coating over the deep grooves. This coating prevents food and plaque from sticking in the deep grooves, thereby helping to prevent cavities. No anesthetic is needed for this procedure. 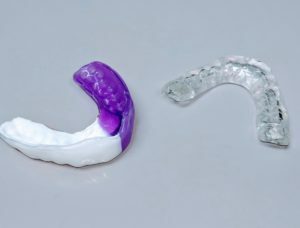 If you or your kids participate in contact sports, a customized mouth guard may be a good idea. A mouth guard protects the teeth and gums to prevent or minimize mouth injury. It is like a retainer made from softer, thicker, and stronger material. We fabricate sports guards in the office from models of your teeth for a customized, comfortable fit. There also special teeth guards for those who grind their teeth and clench their jaw at night — a condition called sleep bruxism that is often caused by stress. The related symptoms are pain in the temporomandibular jaw joint (TMJ disorder) and in the muscles that control the movement of the jaw. Sleep bruxism can cause your teeth to chip, wear more quickly and can even lead to bone loss in the jaw and mouth. To create a barrier between your teeth at night, Drs. Cope recommend a custom-fitted night guard. While important for those with sleep bruxism, mouth guards are especially important for patients who have invested in crowns or implants. They are inexpensive and provide an extra layer of protection to keep your smile beautiful. To create night clenching/bruxing appliances, we take custom impressions in the office of the patient’s mouth and then send those to a dental lab for fabrication of the appliance. Often these are soft-lined hard acrylic guards that are fit and adjusted for the patient to wear primarily at night. They are retentive enough to fit well and not fall out while sleeping, but easy to insert before bed and remove in the morning. Ask a hygienist or dentist if a guard is something you should consider. Is daily flossing really that necessary? Why is fluoride used in dental products, including toothpastes recommended by the ADA? The top layer of teeth (or “enamel”) continually breaks down with acids and then can build back up and remineralize when those acids are removed. This top enamel layer consists mostly of hydroxyapatite, which is crystalline calcium ions and phosphate. When the enamel is in the state of breaking down, fluoride ions can come in and replace the calcium ions. These fluoride ions are harder to break down than the calcium ions, making the top enamel layer stronger and less susceptible to tooth decay. Should I use a manual or electric toothbrush? It depends on each individual’s dexterity, brushing technique and preference. Both manual and electric toothbrushes remove plaque from teeth. A manual toothbrush is fine if you are able to reach all your teeth and the teeth surfaces – including just under the gumline. If you have difficulty holding and/or moving the toothbrush and find yourself missing spots, an electric toothbrush may be recommended for you. For either manual or electric toothbrushes, it is important that the bristles are “soft” or “ultra-soft” to prevent enamel wear. Another way to prevent wear is to hold the toothbrush gently. Certain electric toothbrushes have flashing sensors that let you know if you are brushing too hard, which is an added benefit to electric toothbrushes. Oftentimes, the best toothbrush for you may be the one that you will commit to using at least twice a day – for two minutes per brush – with fluoride-containing toothpaste. Why fix baby teeth that have decay? Should my child wear a mouth guard while playing sports? It is strongly recommended that children wear a mouth guard while playing any contact sport. It is always better to prevent an injury than to repair one. The earlier a child begins to wear the mouth guard, the easier it is to become comfortable and continue to wear it as they get older. At what age are my children supposed to see a dentist? Bleeding gums is an early indicator of gingivitis, or swollen gums, usually caused by plaque and/or calculus accumulated under the gum line. If left untreated, gingivitis can lead to bone loss and eventual tooth loss. Gingivitis can be reversed by proper brushing and flossing within a few weeks. If bleeding persists two to three weeks, consult your dentist. 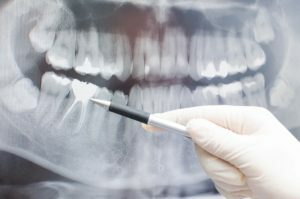 Radiographs or x-rays, help your dentist determine the presence or degree of periodontal disease, abscesses, and many abnormal growths such as cysts and tumors. They can help pinpoint the location of cavities and other signs of disease that may not be possible to detect through a visual examination. All health care providers are sensitive to patients’ concerns about exposure to radiation. Your dentist has been trained to prescribe radiographs when they are appropriate and to tailor the radiograph schedule to your individual needs. 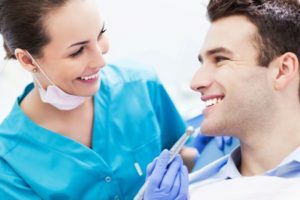 By using state-of-the-art technology, such as digital radiography, and by staying knowledgeable about recent advances, your dentist knows which techniques, procedures and X-ray films can minimize your exposure to radiation. Monday - Thursday 8 a.m. to 5 p.m.
8am-noon Noon-1pm 1-5pm Evening appt. A beautiful, healthy smile is waiting for you with the help of the dentists and hygienists at Cope Dentistry in Prairie Village, Kansas. We proudly serve dental patients from all over the Kansas City area – including Johnson County, Kansas and Jackson County, Missouri. We'd love to see you, too!